I love this poster created by Professor Joseph McElligott. It’s being used to promote my short films, discussion of family and ancestral history, and the impact that New York City had on my family and me. 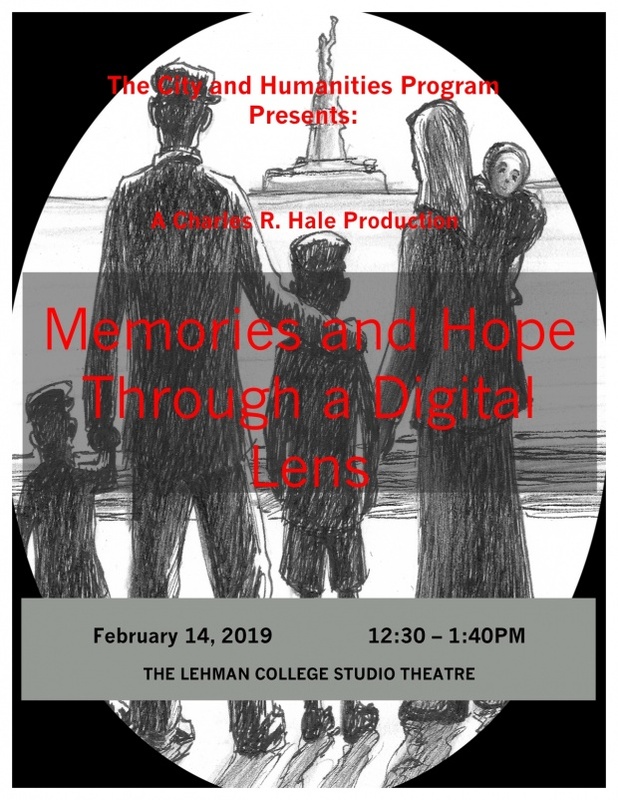 The event is at Lehman College this Thursday, Feb 14, 12:30pm. The afternoon is sponsored by the City and Humanities Program, which is chaired by Professor McElligott. It will take place in the Studio Theatre, which is located in the Speech and Hearing building. Join Mala Waldron, Theresa Sareo, Connie Roberts and Charles R. Hale. On Thursday, May 10th, 12:30pm, Artists Without Walls, in conjunction with Lehman College’s City and Humanities Program, presents “Women Who Have Overcome,” a discussion with three women who, despite being presented with major obstacles at different points during their lives, have gone onto successful careers in the arts and education. Jazz pianist/vocalist Mala Waldron, poet Connie Roberts and singer/songwriter Theresa Sareo will be discussing their lives as well as sharing their talents with the audience. Charles R. Hale will moderate the event. Special thanks to Professor Joseph McElligott for sponsoring this program. The event will be held in the Lovinger Theatre at Lehman College. For directions to Lehman, click here. Photo montage by Mitch Traphagen.